Marathas, a politically influential community in the state, have been demanding 16 per cent reservation in jobs and education. Navi Mumbai had witnessed violence during the Maratha quota stir late last month. Mumbai: To press for their demand for reservation, a body of Maratha groups has called for a bandh or protest across Maharashtra, excluding Navi Mumbai, on Thursday. 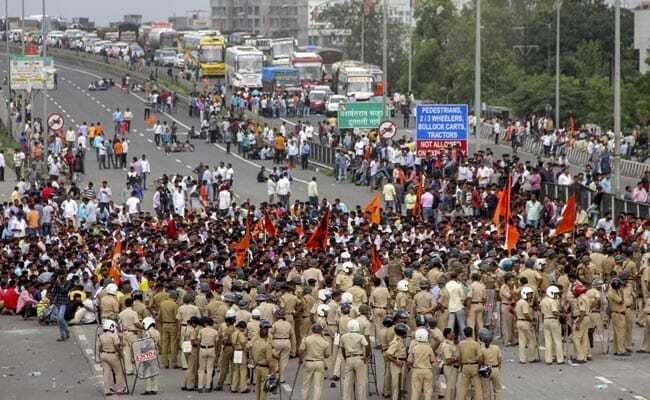 The protest will be held in a peaceful manner from 8 am to 6 pm and all essential services, schools and colleges have been excluded, a leader of Sakal Maratha Samaj said. The police are gearing up to prevent violence during the bandh. Apart from heavy deployment of security personnel, the protests would also be filmed on camera. Budget carrier IndiGo tweeted to say they are anticipating transport disruptions and advised passengers to travel early to the airport. The Maharashtra bandh is being organised despite Chief Minister Devendra Fadnavis' assurances that his government was working on providing reservation to the Marathas in government jobs and educational institutions, one that is legally sustainable. Mr Fadnavis had sought time till November. The Maharashtra bandh, even though state-wide, would not be observed in Navi Mumbai. Parts of Navi Mumbai had witnessed violence during the Maratha quota stir late last month. Around 20 policemen, including eight officers, were injured by stone-throwing protesters. 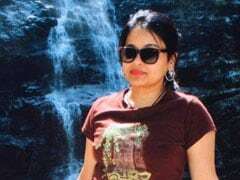 A protester, injured in the violence in Navi Mumbai, had died. "We are also making an appeal to Maratha youths to stay away from violence. We will not indulge in any aggressive protest and there will be no damage to public properties," Amol Jadhavrao, a leader of Sakal Maratha Samaj, was quoted as saying by news agency Press Trust of India. "Due to the planned #Bandh in #Maharashtra, we are anticipating transport disruptions. Passengers are advised to keep extra time in hand while travelling to/from the airport," IndiGo tweeted. The Bombay High Court had on Tuesday urged the Maratha community members to refrain from resorting to violence or committing suicide over their demand for reservation in government jobs and education. The high court was hearing a plea filed by the Maratha Kranti Morcha, seeking quota and directions to the backward classes commission to submit its recommendations to the state on entitlement of such quota expeditiously. Marathas, a politically influential community in the state, have been demanding 16 per cent reservation. The community had earlier taken out silent marches across the state to highlight their demands, prominent among them being that of reservation. Police say between July 18 and July 27, 276 cases of violence were registered across the state during the quota agitation. Property, including both public and private, worth more than Rs 4.5 crore was damaged within those 10 days.